PICNIC WITH PANIC: "Billy Pilgrim has come unstuck in time"
"Billy Pilgrim has come unstuck in time"
Let the right one in (låt den rätte komma in). This is a new Swedish vampire movie of all the strangest things. 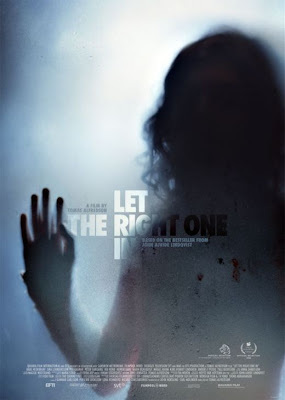 But surprisingly this is a really good Swedish movie, I usually can't stand swedish movie except some 90s tv comedy and the masterpieces of Roy Andersson. But I really likes this one. it's based on a best selller and as usuall I guess the book is even better or so I've been told, so I guess I should go read the book now. Go see it if it hits a theater near you. A english speaking remake is allready in the works but I have a hard time beliving that will even come close to this movie. 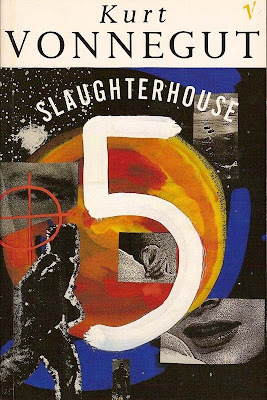 Slaughterhouse 5 by Kurt Vonnegut. This is a story of how Billy Pilgram got unstuck in time. I really like this book, cause I like sciense fiction themed book especially when they consists of timetravel. If you are a fan of the show lost (spoiler alert) this is remakably simular to what happens to desmond in that show in the later parts of season 4. I guess the writters have read the book :) But basicly it's a story about Billy pilgram who is a worldwar veteran, who keeps jumping around in time mentaly one instanse he is in present time the next his back in the war then onto his childhood and so on. Pick it up if you like sci-fi and timetravel stories.